The Eclipse of the Utopias of Labor traces the shift from the eighteenth-century concept of man as machine to the late twentieth-century notion of digital organisms. Step by step—from Jacques de Vaucanson and his Digesting Duck, through Karl Marx’s Capital, Hermann von Helmholtz’s social thermodynamics, Albert Speer’s Beauty of Labor program in Nazi Germany, and on to the post-Fordist workplace, Rabinbach shows how society, the body, and labor utopias dreamt up future societies and worked to bring them about. 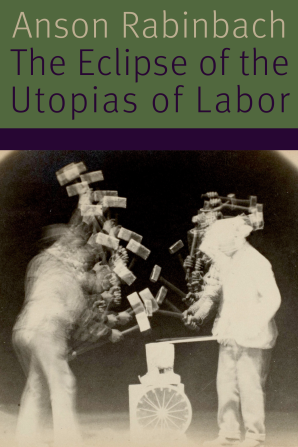 This masterful follow-up to The Human Motor, Rabinbach’s brilliant study of the European science of work, bridges intellectual history, labor history, and the history of the body. It shows the intellectual and policy reasons as to how a utopia of the body as motor won wide acceptance and moved beyond the “man as machine” model before tracing its steep decline after 1945—and along with it the eclipse of the great hopes that a more efficient workplace could provide the basis of a new, more socially satisfactory society.